AMAZING UNIT READY FOR QUICK CLOSING! NEW CONSTRUCTION WITHOUT THE WAIT AND TONS OF UPGRADES THAT WILL NOT COME IN THE STANDARD UNIT. WHEN PURCHASING A BRAND NEW BUILD THERE ARE SO MANY THINGS THAT ADD UP AFTER CLOSING... BLINDS, REFRIGERATOR, CEILING FANS, BACK SPLASH, BATHROOM MIRRORS, GARAGE DOOR OPENER ETC. ARE ALREADY DONE FOR YOU IN THIS ONE! THIS BUCKINGHAM MODEL EVEN HAS THE VAULTED CEILING IN THE MASTER BEDROOM. YOU CAN NOT BUILD THIS UNIT WITH THESE UPGRADES FOR THIS PRICE TODAY. SHOW THIS GEM AND MAKE IT AN EASY DAY. 168 BYPASS TO EXIT 8A HILLCREST, TAKE RIGHT AT LIGHT ONTO HILLCREST, LEFT AT NEXT LIGHT ONTO EDINBURGH, MAKE RIGHT INTO HICKORY MANOR AND FOLLOW AROUND TO ABBEY HILL SECTION. Ready to visit 2026 Canning? Request a free property tour! 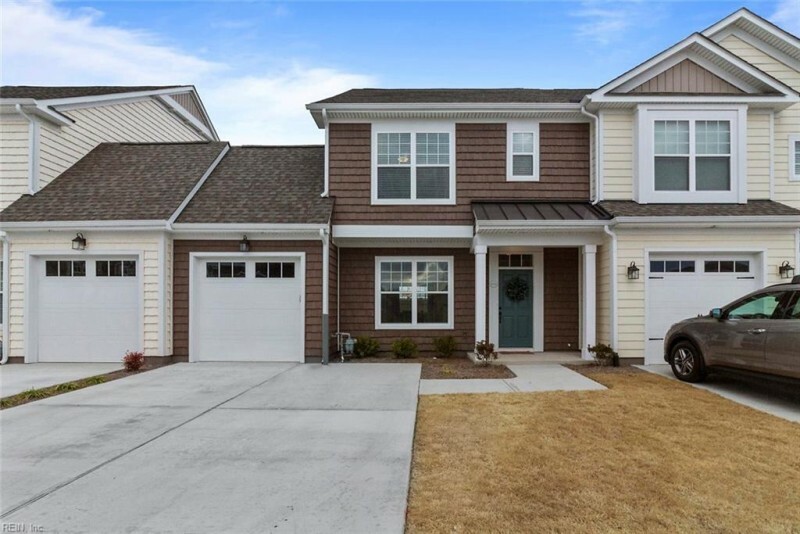 Send me more information about the listing at 2026 Canning, Chesapeake, VA 23322, MLS# 10239932. This 3 bedroom, 3 bathroom home located at 2026 Canning, Chesapeake, VA 23322 has approximately 1,593 square feet. It is currently listed for $264,000 and has a price per sqft of $16,573. This home is currently Sold under the MLS#: 10239932. This listing is provided by Coldwell Banker Professional Realtors. 2026 Canning Place, Chesapeake was built in 2018. It has Garage Att 1 Car, 2 Space parking.The kitchen includes Dishwasher, Disposal, Dryer, Microwave, Gas Range, Refrigerator, Washer. 2026 Canning is part of the Hickory Manor neighborhood located in 23322.